Keeping your home safe and secure is a priority. There are many security measures you can take, but an easy and effective one is upgrading the entry door to your home. For more than 30 years, Murphy Home Improvement has been the leading home improvement specialist in the Cincinnati, OH, area. Known for the finest craftsmanship in the industry, they also have a particular specialty in doors and know the best tips for the most useful upgrades. When choosing a new front door, select one with a solid core. While hollow doors are cheaper to construct and look just as nice, the security of a solid door is not to be understated. Material options include fiberglass construction, wood, and metal, among others. By improving the strength of your front door, you’re enhancing the front lines of defense against a break-in or robbery. While the materials of the door you choose are important, the security mechanisms featured on the door are even more so. Deadbolt locks are a must for a secure front entryway. Some homeowners choose to add multiple locks for extra measure. When you do open the door, you want to be able to see who is on the other side before doing so. Installing a peephole will allow you to survey your surroundings before opening the door to a potentially dangerous situation. 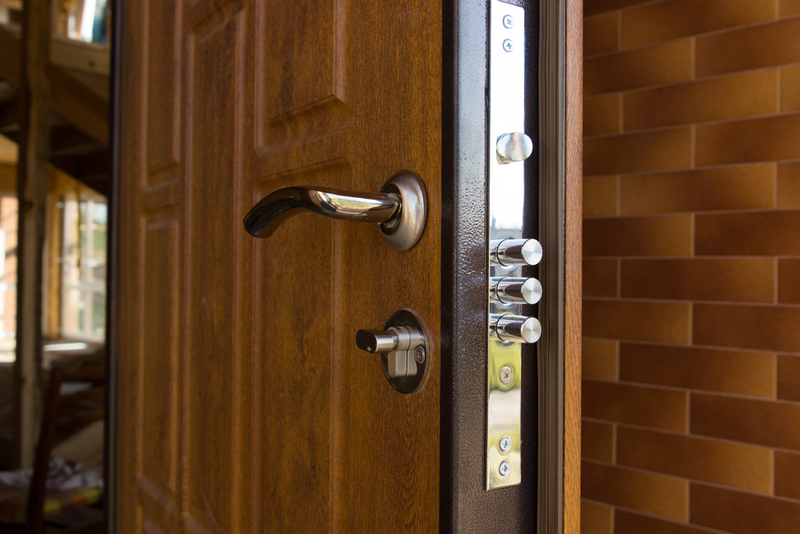 Hinges can be a particularly weak point in your front door, especially if it opens outward. Installing a new door gives you options for upgrading the hinges and installing extra protections to secure them. When you’re ready to install a new front door and improve your home security, consider Murphy Home Improvement. They offer a 10% discount on windows and doors when customers visit the showroom and bring measurements. Call (513) 922-8989 today to get started, or visit their website.